We were wondering how we could improve the award-winning Easy-To-Love® collection – the best true rose collection containing fully petaled varieties with very good disease resistance. Well, it's quite simple! We've added a missing color to the collection with the pink flowering variety Easy To Please. Just like its name, this floribunda will please everyone! Want more bang for your bloom? 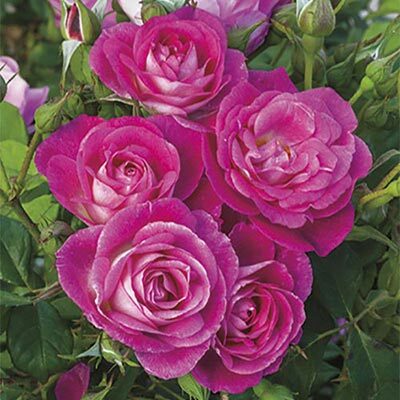 With Easy To Please, not only are you getting a high performing rose in multiple climates, but you are also getting a multitude of classic spiraled flowers on a bush for which the disease resistance surpasses many landscape Shrubs. What else are we missing to make this rose a crowd pleaser? Nothing, as a moderate clove fragrance completes this SUPER flowerful, upright and vigorous plant to near perfection!